Not to be confused with ytterbium. Yttrium is a chemical element with symbol Y and atomic number 39. It is a silvery-metallic transition metal chemically similar to the lanthanides and has often been classified as a "rare earth element". Yttrium is almost always found in combination with lanthanide elements in rare earth minerals, and is never found in nature as a free element. 89Y is the only stable isotope, and the only isotope found in the Earth's crust. In 1787, Carl Axel Arrhenius found a new mineral near Ytterby in Sweden and named it ytterbite, after the village. 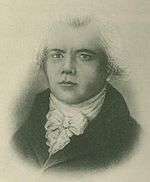 Johan Gadolin discovered yttrium's oxide in Arrhenius' sample in 1789, and Anders Gustaf Ekeberg named the new oxide yttria. Elemental yttrium was first isolated in 1828 by Friedrich Wöhler. 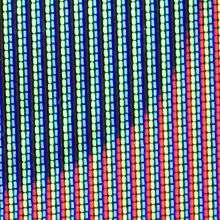 The most important uses of yttrium are LEDs and phosphors, particularly the red phosphors in television set cathode ray tube (CRT) displays. Yttrium is also used in the production of electrodes, electrolytes, electronic filters, lasers, superconductors, various medical applications, and tracing various materials to enhance their properties. Yttrium has no known biological role and exposure to yttrium compounds can cause lung disease in humans. Yttrium is a soft, silver-metallic, lustrous and highly crystalline transition metal in group 3. As expected by periodic trends, it is less electronegative than its predecessor in the group, scandium, and less electronegative than the next member of period 5, zirconium; additionally, it is of comparable electronegativity to its successor in its group, lutetium, due to the lanthanide contraction. Yttrium is the first d-block element in the fifth period. 3) film that forms on the surface. This film can reach a thickness of 10 µm when yttrium is heated to 750 °C in water vapor. When finely divided, however, yttrium is very unstable in air; shavings or turnings of the metal can ignite in air at temperatures exceeding 400 °C. Yttrium nitride (YN) is formed when the metal is heated to 1000 °C in nitrogen. For more details on this topic, see Rare earth element. The similarities of yttrium to the lanthanides are so strong that the element has historically been grouped with them as a rare earth element, and is always found in nature together with them in rare earth minerals. Chemically, yttrium resembles those elements more closely than its neighbor in the periodic table, scandium, and if physical properties were plotted against atomic number, it would have an apparent number of 64.5 to 67.5, placing it between the lanthanides gadolinium and erbium. It often also falls in the same range for reaction order, resembling terbium and dysprosium in its chemical reactivity. Yttrium is so close in size to the so-called 'yttrium group' of heavy lanthanide ions that in solution, it behaves as if it were one of them. Even though the lanthanides are one row farther down the periodic table than yttrium, the similarity in atomic radius may be attributed to the lanthanide contraction. One of the few notable differences between the chemistry of yttrium and that of the lanthanides is that yttrium is almost exclusively trivalent, whereas about half the lanthanides can have valences other than three. 3), also known as yttria, a six-coordinate white solid. Yttrium forms a water-insoluble fluoride, hydroxide, and oxalate, but its bromide, chloride, iodide, nitrate and sulfate are all soluble in water. The Y3+ ion is colorless in solution because of the absence of electrons in the d and f electron shells. 3. Concentrated nitric and hydrofluoric acids do not rapidly attack yttrium, but other strong acids do. 3) at temperatures above roughly 200 °C. Similarly, carbon, phosphorus, selenium, silicon and sulfur all form binary compounds with yttrium at elevated temperatures. 3 and concentrated hydrochloric acid and ammonium chloride. 3 leads to the formation of endohedral fullerenes such as Y@C82. Electron spin resonance studies indicated the formation of Y3+ and (C82)3− ion pairs. The carbides Y3C, Y2C, and YC2 can be hydrolyzed to form hydrocarbons. Yttrium in the Solar System was created through stellar nucleosynthesis, mostly by the s-process (≈72%), but also by the r-process (≈28%). The r-process consists of rapid neutron capture of lighter elements during supernova explosions. The s-process is a slow neutron capture of lighter elements inside pulsating red giant stars. Yttrium isotopes are among the most common products of the nuclear fission of uranium in nuclear explosions and nuclear reactors. In the context of nuclear waste management, the most important isotopes of yttrium are 91Y and 90Y, with half-lives of 58.51 days and 64 hours, respectively. Though 90Y has a short half-life, it exists in secular equilibrium with its long-lived parent isotope, strontium-90 (90Sr) with a half-life of 29 years. All group 3 elements have an odd atomic number, and therefore few stable isotopes. Scandium has one stable isotope, and yttrium itself has only one stable isotope, 89Y, is also the only isotope that occurs naturally. However, the lanthanide rare earths contain elements of even atomic number and many stable isotopes. Yttrium-89 is thought to be more abundant than it otherwise would be, due in part to the s-process, which allows enough time for isotopes created by other processes to decay by electron emission (neutron → proton). [note 1] Such a slow process tends to favor isotopes with atomic mass numbers (A = protons + neutrons) around 90, 138 and 208, which have unusually stable atomic nuclei with 50, 82, and 126 neutrons, respectively. [note 2] 89Y has a mass number close to 90 and has 50 neutrons in its nucleus. At least 32 synthetic isotopes of yttrium have been observed, and these range in atomic mass number from 76 to 108. The least stable of these is 106Y with a half-life of >150 ns (76Y has a half-life of >200 ns) and the most stable is 88Y with a half-life of 106.626 days. Apart from the isotopes 91Y, 87Y, and 90Y, with half-lives of 58.51 days, 79.8 hours, and 64 hours, respectively, all the other isotopes have half-lives of less than a day and most of less than an hour. Yttrium isotopes with mass numbers at or below 88 decay primarily by positron emission (proton → neutron) to form strontium (Z = 38) isotopes. Yttrium isotopes with mass numbers at or above 90 decay primarily by electron emission (neutron → proton) to form zirconium (Z = 40) isotopes. Isotopes with mass numbers at or above 97 are also known to have minor decay paths of β− delayed neutron emission. Yttrium has at least 20 metastable ("excited") isomers ranging in mass number from 78 to 102. [note 3] Multiple excitation states have been observed for 80Y and 97Y. While most of yttrium's isomers are expected to be less stable than their ground state, 78mY, 84mY, 85mY, 96mY, 98m1Y, 100mY, and 102mY have longer half-lives than their ground states, as these isomers decay by beta decay rather than isomeric transition. In 1787, army lieutenant and part-time chemist Carl Axel Arrhenius found a heavy black rock in an old quarry near the Swedish village of Ytterby (now part of the Stockholm Archipelago). Thinking that it was an unknown mineral containing the newly discovered element tungsten, he named it ytterbite[note 4] and sent samples to various chemists for analysis. In 1843, Carl Gustaf Mosander found that samples of yttria contained three oxides: white yttrium oxide (yttria), yellow terbium oxide (confusingly, this was called 'erbia' at the time) and rose-colored erbium oxide (called 'terbia' at the time). A fourth oxide, ytterbium oxide, was isolated in 1878 by Jean Charles Galissard de Marignac. New elements were later isolated from each of those oxides, and each element was named, in some fashion, after Ytterby, the village near the quarry where they were found (see ytterbium, terbium, and erbium). In the following decades, seven other new metals were discovered in "Gadolin's yttria". Since yttria was found to be a mineral and not an oxide, Martin Heinrich Klaproth renamed it gadolinite in honor of Gadolin. Until the early 1920s, the chemical symbol Yt was used for the element, after which Y came into common use. Yttrium is found in most rare earth minerals, it is found in some uranium ores, but is never found in the Earth's crust as a free element. About 31 ppm of the Earth's crust is yttrium, making it the 28th most abundant element, 400 times more common than silver. Yttrium is found in soil in concentrations between 10 and 150 ppm (dry weight average of 23 ppm) and in sea water at 9 ppt. Lunar rock samples collected during the American Apollo Project have a relatively high content of yttrium. Yttrium has no known biological role, though it is found in most, if not all, organisms and tends to concentrate in the liver, kidney, spleen, lungs, and bones of humans. Normally, as little as 0.5 milligrams is found in the entire human body; human breast milk contains 4 ppm. Yttrium can be found in edible plants in concentrations between 20 ppm and 100 ppm (fresh weight), with cabbage having the largest amount. With as much as to 700 ppm, the seeds of woody plants have the highest known concentrations. Since yttrium is chemically so similar to the lanthanides, it occurs in the same ores (rare earth minerals) and is extracted by the same refinement processes. A slight distinction is recognized between the light (LREE) and the heavy rare earth elements (HREE), but the distinction is not perfect. Yttrium is concentrated in the HREE group because of its ion size, though it has a lower atomic mass. A piece of yttrium. 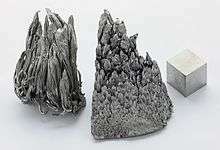 Yttrium is difficult to separate from other rare earth elements. Carbonate and fluoride containing ores such as the LREE bastnäsite ([(Ce, La, etc. )(CO3)F]) contain an average of 0.1% of yttrium compared to the 99.9% for the 16 other REEs. The main source for bastnäsite from the 1960s to the 1990s was the Mountain Pass rare earth mine in California, making the United States the largest producer of REEs during that period. Monazite ([(Ce, La, etc. )PO4]), which is mostly phosphate, is a placer deposit of sand created by the transportation and gravitational separation of eroded granite. 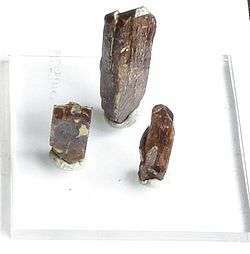 Monazite as a LREE ore contains 2% (or 3%) yttrium. The largest deposits were found in India and Brazil in the early 20th century, making those two countries the largest producers of yttrium in the first half of that century. Xenotime, a REE phosphate, is the main HREE ore containing as much as 60% yttrium as yttrium phosphate (YPO4). The largest mine is the Bayan Obo deposit in China, making China the largest exporter for HREE since the closure of the Mountain Pass mine in the 1990s. Ion absorption clays or Lognan clays are the weathering products of granite and contain only 1% of REEs. The final ore concentrate can contain as much as 8% yttrium. Ion absorption clays are mostly in southern China. Yttrium is also found in samarskite and fergusonite. One method for obtaining pure yttrium from the mixed oxide ores is to dissolve the oxide in sulfuric acid and fractionate it by ion exchange chromatography. With the addition of oxalic acid, the yttrium oxalate precipitates. The oxalate is converted into the oxide by heating under oxygen. By reacting the resulting yttrium oxide with hydrogen fluoride, yttrium fluoride is obtained. When quaternary ammonium salts are used as extractants, most yttrium will remain in the aqueous phase. When the counter-ion is nitrate, the light lanthanides are removed, and when the counter-ion is thiocyanate, the heavy lanthanides are removed. In this way, yttrium salts of 99.999% purity are obtained. In the usual situation, where yttrium is in a mixture that is two-thirds heavy-lanthanide, yttrium should be removed as soon as possible to facilitate the separation of the remaining elements. 3. Only a few tonnes of yttrium metal are produced each year by reducing yttrium fluoride to a metal sponge with calcium magnesium alloy. The temperature of an arc furnace of greater than 1,600 °C is sufficient to melt the yttrium. 2S) host lattice doped with europium (III) cation (Eu3+) phosphors. [note 8] The red color itself is emitted from the europium while the yttrium collects energy from the electron gun and passes it to the phosphor. Yttrium compounds can serve as host lattices for doping with different lanthanide cations. Tb3+ can be used as a doping agent to produce green luminescence. 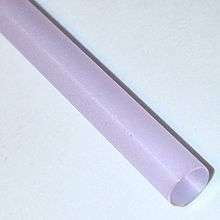 Yttria is used as a sintering additive in the production of porous silicon nitride. It is used as a common starting material for material science and for producing other compounds of yttrium. Yttrium compounds are used as a catalyst for ethylene polymerization. As a metal, yttrium is used on the electrodes of some high-performance spark plugs. Yttrium is used in gas mantles for propane lanterns as a replacement for thorium, which is radioactive. Currently under development is yttrium-stabilized zirconia as a solid electrolyte and as an oxygen sensor in automobile exhaust systems. 12 or YAG) has a hardness of 8.5 and is also used as a gemstone in jewelry (simulated diamond). Cerium-doped yttrium aluminium garnet (YAG:Ce) crystals are used as phosphors to make white LEDs. 4) are used in combination with dopants such as neodymium, erbium, ytterbium in near-infrared lasers. YAG lasers can operate at high power and are used for drilling and cutting metal. The single crystals of doped YAG are normally produced by the Czochralski process. Small amounts of yttrium (0.1 to 0.2%) have been used to reduce the grain sizes of chromium, molybdenum, titanium, and zirconium. 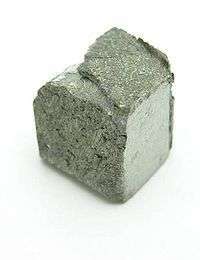 Yttrium is used to increase the strength of aluminium and magnesium alloys. The addition of yttrium to alloys generally improves workability, adds resistance to high-temperature recrystallization, and significantly enhances resistance to high-temperature oxidation (see graphite nodule discussion below). Yttrium can be used to deoxidize vanadium and other non-ferrous metals. Yttria stabilizes the cubic form of zirconia in jewelry. Yttrium has been studied as a nodulizer in ductile cast iron, forming the graphite into compact nodules instead of flakes to increase ductility and fatigue resistance. Having a high melting point, yttrium oxide is used in some ceramic and glass to impart shock resistance and low thermal expansion properties. Those same properties make such glass useful in camera lenses. The radioactive isotope yttrium-90 is used in drugs such as Yttrium Y 90-DOTA-tyr3-octreotide and Yttrium Y 90 ibritumomab tiuxetan for the treatment of various cancers, including lymphoma, leukemia, liver, ovarian, colorectal, pancreatic and bone cancers. It works by adhering to monoclonal antibodies, which in turn bind to cancer cells and kill them via intense β-radiation from the yttrium-90 (see Monoclonal antibody therapy). A technique called radioembolization is used to treat hepatocellular carcinoma and liver metastasis. Radioembolization is a low toxicity, targeted liver cancer therapy that uses millions of tiny beads made of glass or resin containing radioactive yttrium-90. The radioactive microspheres are delivered directly to the blood vessels feeding specific liver tumors/segments or lobes. It is minimally invasive and patients can usually be discharged after a few hours. This procedure may not eliminate all tumors throughout the entire liver, but works on one segment or one lobe at a time and may require multiple procedures. Also see Radioembolization in the case of combined cirrhosis and Hepatocellular carcinoma. Needles made of yttrium-90, which can cut more precisely than scalpels, have been used to sever pain-transmitting nerves in the spinal cord, and yttrium-90 is also used to carry out radionuclide synovectomy in the treatment of inflamed joints, especially knees, in sufferers of conditions such as rheumatoid arthritis. A neodymium-doped yttrium-aluminium-garnet laser has been used in an experimental, robot-assisted radical prostatectomy in canines in an attempt to reduce collateral nerve and tissue damage, and erbium-doped lasers are coming into use for cosmetic skin resurfacing. Yttrium is a key ingredient in the yttrium barium copper oxide (YBa2Cu3O7, aka 'YBCO' or '1-2-3') superconductor developed at the University of Alabama and the University of Houston in 1987. This superconductor is notable because the operating superconductivity temperature is above liquid nitrogen's boiling point (77.1 K). Since liquid nitrogen is less expensive than the liquid helium required for metallic superconductors, the operating costs for applications would be less. The actual superconducting material is often written as YBa2Cu3O7–d, where d must be less than 0.7 for superconductivity. The reason for this is still not clear, but it is known that the vacancies occur only in certain places in the crystal, the copper oxide planes,and chains, giving rise to a peculiar oxidation state of the copper atoms, which somehow leads to the superconducting behavior. The theory of low temperature superconductivity has been well understood since the BCS theory of 1957. It is based on a peculiarity of the interaction between two electrons in a crystal lattice. However, the BCS theory does not explain high temperature superconductivity, and its precise mechanism is still a mystery. What is known is that the composition of the copper-oxide materials must be precisely controlled for superconductivity to occur. This superconductor is a black and green, multi-crystal, multi-phase mineral. Researchers are studying a class of materials known as perovskites that are alternative combinations of these elements, hoping to develop a practical high-temperature superconductor. Yttrium currently has no biological role, and it can be highly toxic to humans and other animals. Water-soluble compounds of yttrium are considered mildly toxic, while its insoluble compounds are non-toxic. In experiments on animals, yttrium and its compounds caused lung and liver damage, though toxicity varies with different yttrium compounds. In rats, inhalation of yttrium citrate caused pulmonary edema and dyspnea, while inhalation of yttrium chloride caused liver edema, pleural effusions, and pulmonary hyperemia. Exposure to yttrium compounds in humans may cause lung disease. Workers exposed to airborne yttrium europium vanadate dust experienced mild eye, skin, and upper respiratory tract irritation—though this may be caused by the vanadium content rather than the yttrium. Acute exposure to yttrium compounds can cause shortness of breath, coughing, chest pain, and cyanosis. The Occupational Safety and Health Administration (OSHA) limits exposure to yttrium in the workplace to 1 mg/m3 over an 8-hour workday. The National Institute for Occupational Safety and Health (NIOSH) recommended exposure limit (REL) is 1 mg/m3 over an 8-hour workday. At levels of 500 mg/m3, yttrium is immediately dangerous to life and health. Yttrium dust is flammable. 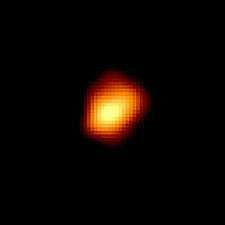 ↑ Essentially, a neutron becomes a proton while an electron and antineutrino are emitted. ↑ See: magic number. 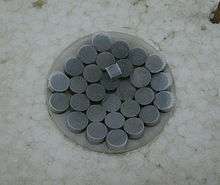 This stability is thought to result from their very low neutron-capture cross-section. (Greenwood 1997, pp. 12–13). Electron emission of isotopes with those mass numbers is simply less prevalent due to this stability, resulting in them having a higher abundance. ↑ Metastable isomers have higher-than-normal energy states than the corresponding non-excited nucleus and these states last until a gamma ray or conversion electron is emitted from the isomer. They are designated by an 'm' being placed next to the isotope's mass number. ↑ Ytterbite was named after the village it was discovered near, plus the -ite ending to indicate it was a mineral. ↑ Stwertka 1998, p. 115 says that the identification occurred in 1789 but is silent on when the announcement was made. Van der Krogt 2005 cites the original publication, with the year 1794, by Gadolin. ↑ Tc for YBCO is 93 K and the boiling point of nitrogen is 77 K.
↑ Emsley 2001, p. 497 says that "Yttrium oxysulfide, doped with europium (III), is used as the standard red component in colour televisions", and Jackson and Christiansen (1993) state that 5–10 g yttrium oxide and 0.5–1 g europium oxide are required to produce a single TV screen, as quoted in Gupta and Krishnamurthy. 1 2 IUPAC contributors (2005). Connelly N G; Damhus T; Hartshorn R M; Hutton A T, eds. Nomenclature of Inorganic Chemistry: IUPAC Recommendations 2005 (PDF). RSC Publishing. p. 51. ISBN 0-85404-438-8. Retrieved 2007-12-17. 1 2 3 4 5 6 7 8 9 10 11 12 13 14 CRC contributors (2007–2008). "Yttrium". In Lide, David R. CRC Handbook of Chemistry and Physics. 4. New York: CRC Press. p. 41. ISBN 978-0-8493-0488-0. 1 2 3 4 5 6 7 8 Cotton, Simon A. (2006-03-15). "Scandium, Yttrium & the Lanthanides: Inorganic & Coordination Chemistry". Encyclopedia of Inorganic Chemistry. doi:10.1002/0470862106.ia211. ISBN 0-470-86078-2. 1 2 Hammond, C. R. "Yttrium". The Elements (PDF). Fermi National Accelerator Laboratory. pp. 4–33. ISBN 0-04-910081-5. Archived from the original (pdf) on June 26, 2008. Retrieved 2008-08-26. ↑ Cloke, F. Geoffrey N. (1993). "Zero Oxidation State Compounds of Scandium, Yttrium, and the Lanthanides". Chem. Soc. Rev. 22: 17–24. doi:10.1039/CS9932200017. 1 2 3 Schumann, Herbert; Fedushkin, Igor L. (2006). "Scandium, Yttrium & The Lanthanides: Organometallic Chemistry". Encyclopedia of Inorganic Chemistry. doi:10.1002/0470862106.ia212. ISBN 0-470-86078-2. ↑ Nikolai B., Mikheev; Auerman, L N; Rumer, Igor A; Kamenskaya, Alla N; Kazakevich, M Z (1992). "The anomalous stabilisation of the oxidation state 2+ of lanthanides and actinides". Russian Chemical Reviews. 61 (10): 990–998. Bibcode:1992RuCRv..61..990M. doi:10.1070/RC1992v061n10ABEH001011. ↑ Kang, Weekyung; E. R. Bernstein (2005). "Formation of Yttrium Oxide Clusters Using Pulsed Laser Vaporization". Bull. Korean Chem. Soc. 26 (2): 345–348. doi:10.5012/bkcs.2005.26.2.345. ↑ Turner, Jr., Francis M.; Berolzheimer, Daniel D.; Cutter, William P.; Helfrich, John (1920). The Condensed Chemical Dictionary. New York: Chemical Catalog Company. p. 492. Retrieved 2008-08-12. ↑ Spencer, James F. (1919). The Metals of the Rare Earths. New York: Longmans, Green, and Co. p. 135. Retrieved 2008-08-12. ↑ Pack, Andreas; Sara S. Russell; J. Michael G. Shelley & Mark van Zuilen (2007). "Geo- and cosmochemistry of the twin elements yttrium and holmium". Geochimica et Cosmochimica Acta. 71 (18): 4592–4608. Bibcode:2007GeCoA..71.4592P. doi:10.1016/j.gca.2007.07.010. 1 2 3 4 5 6 7 8 NNDC contributors (2008). Alejandro A. Sonzogni (Database Manager), ed. "Chart of Nuclides". Upton, New York: National Nuclear Data Center, Brookhaven National Laboratory. Retrieved 2008-09-13. 1 2 Audi, Georges; Bersillon, O.; Blachot, J.; Wapstra, A.H. (2003). "The NUBASE Evaluation of Nuclear and Decay Properties". Nuclear Physics A. Atomic Mass Data Center. 729: 3–128. Bibcode:2003NuPhA.729....3A. doi:10.1016/j.nuclphysa.2003.11.001. ↑ Mosander, Carl Gustaf (1843). "Ueber die das Cerium begleitenden neuen Metalle Lathanium und Didymium, so wie über die mit der Yttererde vorkommen-den neuen Metalle Erbium und Terbium". Annalen der Physik und Chemie (in German). 60 (2): 297–315. Bibcode:1843AnP...136..297M. doi:10.1002/andp.18431361008. ↑ Britannica contributors (2005). "Ytterbium". Encyclopaedia Britannica. Encyclopædia Britannica, Inc.
↑ Heiserman, David L. (1992). "Element 39: Yttrium". Exploring Chemical Elements and their Compounds. New York: TAB Books. pp. 150–152. ISBN 0-8306-3018-X. ↑ Coplen, Tyler B.; Peiser, H. S. (1998). "History of the Recommended Atomic-Weight Values from 1882 to 1997: A Comparison of Differences from Current Values to the Estimated Uncertainties of Earlier Values (Technical Report)". Pure Appl. Chem. IUPAC's Inorganic Chemistry Division Commission on Atomic Weights and Isotopic Abundances. 70 (1): 237–257. doi:10.1351/pac199870010237. 1 2 3 4 Wu, M. K.; et al. (1987). "Superconductivity at 93 K in a New Mixed-Phase Y-Ba-Cu-O Compound System at Ambient Pressure". Physical Review Letters. 58 (9): 908–910. Bibcode:1987PhRvL..58..908W. doi:10.1103/PhysRevLett.58.908. PMID 10035069. ↑ Lenntech contributors. "yttrium". Lenntech. Retrieved 2008-08-26. ↑ MacDonald, N. S.; Nusbaum, R. E.; Alexander, G. V. (1952). 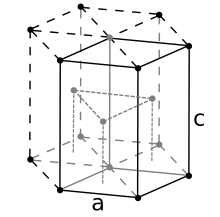 "The Skeletal Deposition of Yttrium" (PDF). Journal of Biological Chemistry. 195 (2): 837–841. PMID 14946195. 1 2 3 4 5 6 7 8 9 10 Morteani, Giulio (1991). "The rare earths; their minerals, production and technical use". European Journal of Mineralogy. 3 (4): 641–650. ↑ Kanazawa, Yasuo; Kamitani, Masaharu (2006). "Rare earth minerals and resources in the world". Journal of Alloys and Compounds. 408–412: 1339–1343. doi:10.1016/j.jallcom.2005.04.033. 1 2 3 4 5 Naumov, A. V. (2008). "Review of the World Market of Rare-Earth Metals". Russian Journal of Non-Ferrous Metals. 49 (1): 14–22. doi:10.1007/s11981-008-1004-6. ↑ Zheng, Zuoping; Lin Chuanxian (1996). "The behaviour of rare-earth elements (REE) during weathering of granites in southern Guangxi, China". Chinese Journal of Geochemistry. 15 (4): 344–352. doi:10.1007/BF02867008. 1 2 Holleman, Arnold F.; Wiberg, Egon; Wiberg, Nils (1985). Lehrbuch der Anorganischen Chemie (91–100 ed.). Walter de Gruyter. pp. 1056–1057. ISBN 3-11-007511-3. ↑ "Mineral Commodity Summaries" (PDF). minerals.usgs.gov. Retrieved 2014-07-17. ↑ Carley, Larry (December 2000). "Spark Plugs: What's Next After Platinum?". Counterman. Babcox. Archived from the original on 2008-05-01. Retrieved 2008-09-07. ↑ US patent 4533317, Addison, Gilbert J., "Yttrium oxide mantles for fuel-burning lanterns", issued 1985-08-06, assigned to The Coleman Company, Inc.
↑ Jaffe, H.W. (1951). "The role of yttrium and other minor elements in the garnet group" (pdf). American Mineralogist: 133–155. Retrieved 2008-08-26. ↑ Vajargah, S. Hosseini; Madaahhosseini, H; Nemati, Z (2007). "Preparation and characterization of yttrium iron garnet (YIG) nanocrystalline powders by auto-combustion of nitrate-citrate gel". Journal of Alloys and Compounds. 430 (1–2): 339–343. doi:10.1016/j.jallcom.2006.05.023. ↑ GIA contributors (1995). GIA Gem Reference Guide. Gemological Institute of America. ISBN 0-87311-019-6. ↑ Kiss, Z. J.; Pressley, R. J. (1966). "Crystalline solid lasers". Proceedings of the IEEE. 54 (10): 1236. doi:10.1109/PROC.1966.5112. ↑ Kong, J.; Tang, D. Y.; Zhao, B.; Lu, J.; Ueda, K.; Yagi, H. & Yanagitani, T. (2005). "9.2-W diode-pumped Yb:Y2O3 ceramic laser". Applied Physics Letters. 86 (16): 116. Bibcode:2005ApPhL..86p1116K. doi:10.1063/1.1914958. ↑ Tokurakawa, M.; Takaichi, K.; Shirakawa, A.; Ueda, K.; Yagi, H.; Yanagitani, T. & Kaminskii, A. A. (2007). "Diode-pumped 188 fs mode-locked Yb3+:Y2O3 ceramic laser". Applied Physics Letters. 90 (7): 071101. Bibcode:2007ApPhL..90g1101T. doi:10.1063/1.2476385. ↑ Golubović, Aleksandar V.; Nikolić, Slobodanka N.; Gajić, Radoš; Đurić, Stevan; Valčić, Andreja (2002). "The growth of Nd: YAG single crystals". Journal of the Serbian Chemical Society. 67 (4): 91–300. doi:10.2298/JSC0204291G. ↑ "Yttrium". Periodic Table of Elements: LANL. Los Alamos National Security. ↑ Berg, Jessica. "Cubic Zirconia". Emporia State University. Retrieved 2008-08-26. ↑ Adams, Gregory P.; et al. (2004). "A Single Treatment of Yttrium-90-labeled CHX-A–C6.5 Diabody Inhibits the Growth of Established Human Tumor Xenografts in Immunodeficient Mice". Cancer Research. 64 (17): 6200–6206. doi:10.1158/0008-5472.CAN-03-2382. PMID 15342405. ↑ "Chemoembolism and radioembolism for hepatocellular carcinoma". Clinical Gastroenterology and Hepatology. 11: 604–611. 2013. Retrieved May 25, 2016. ↑ Fischer, M.; Modder, G. (2002). "Radionuclide therapy of inflammatory joint diseases". Nuclear Medicine Communications. 23 (9): 829–831. doi:10.1097/00006231-200209000-00003. PMID 12195084. ↑ Gianduzzo, Troy; Colombo Jr., Jose R.; Haber, Georges-Pascal; Hafron, Jason; Magi-Galluzzi, Cristina; Aron, Monish; Gill, Inderbir S.; Kaouk, Jihad H. (2008). "Laser robotically assisted nerve-sparing radical prostatectomy: a pilot study of technical feasibility in the canine model". BJU International. Cleveland: Glickman Urological Institute. 102 (5): 598–602. doi:10.1111/j.1464-410X.2008.07708.x. PMID 18694410. ↑ "Yttrium Barium Copper Oxide – YBCO". Imperial College. Retrieved 2009-12-20. ↑ "CDC - NIOSH Pocket Guide to Chemical Hazards - Yttrium". www.cdc.gov. Retrieved 2015-11-27. Daane, A. H. (1968). "Yttrium". In Hampel, Clifford A. The Encyclopedia of the Chemical Elements. New York: Reinhold Book Corporation. pp. 810–821. LCCN 68029938. OCLC 449569. Emsley, John (2001). "Yttrium". Nature's Building Blocks: An A–Z Guide to the Elements. Oxford, England, UK: Oxford University Press. pp. 495–498. ISBN 0-19-850340-7. Gadolin, Johan (1794). "Undersökning af en svart tung Stenart ifrån Ytterby Stenbrott i Roslagen". Kongl. Vetenskaps Academiens Nya Handlingar. 15: 137–155. Gupta, C. K.; Krishnamurthy, N. (2005). "Ch. 1.7.10 Phosphors". Extractive metallurgy of rare earths (PDF). CRC Press. ISBN 0-415-33340-7. Stwertka, Albert (1998). "Yttrium". Guide to the Elements (Revised ed.). Oxford University Press. pp. 115–116. ISBN 0-19-508083-1.
van der Krogt, Peter (2005-05-05). "39 Yttrium". Elementymology & Elements Multidict. Retrieved 2008-08-06. US patent 5734166, Czirr John B., "Low-energy neutron detector based upon lithium lanthanide borate scintillators", issued 1998-03-31, assigned to Mission Support Inc.
EPA contributors (2008-07-31). "Strontium: Health Effects of Strontium-90". US Environmental Protection Agency. Retrieved 2008-08-26. Look up yttrium in Wiktionary, the free dictionary. Wikimedia Commons has media related to Yttrium.